The return of Jesus is imminent! The evidence is undeniable. We are the generation living at the end of this age of human history. Jesus Christ is returning very soon. Not soon as in the next hundred years or thousand years. But really soon, certainly in the lifetimes of many living today. He is returning to collect his believers. This book is specifically directed to Americans, but the truths and revelations in it apply to all peoples of the world. This is a book that can change your life. It must. Our hope is not in governments or in organizations or in other people. It is in Jesus and our relationship with him. For orders of 10 or more copies or for international orders, contact the ministry for special rates. 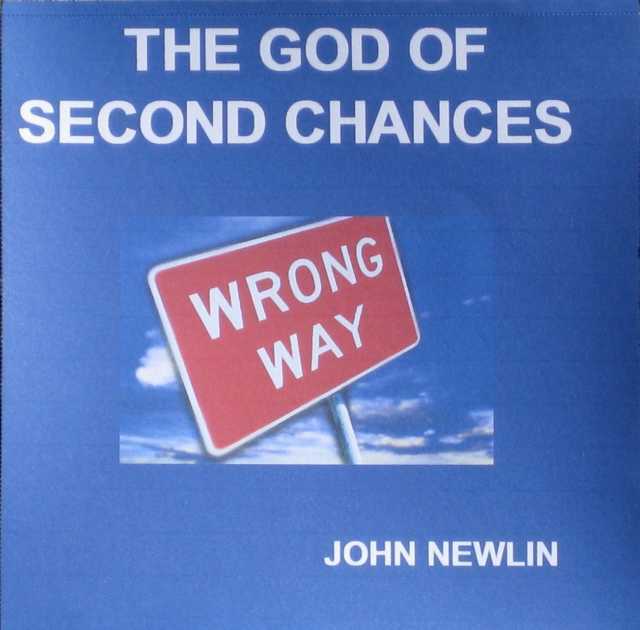 CD - "THE GOD OF SECOND CHANCES"
All of us at times have needed a second chance. Whether by our own sins, by bad decisions, or from circumstances outside our control, we have found ourselves in deep trouble. Maybe it's losing a job and not having any prospects in a difficult economy, or maybe it's a marriage up. Maybe it's terrible relationship problems in a family. God is good at all times, and he is very good in these situations. If you will but turn to him and ask for his help, he will work with you to move forward. There is no shame in needing a second chance. All humanity needed a second chance, and we got that through the Son of God, Jesus Christ. Moses, David, Jonah, Elijah, Peter - so many people in the Bible needed a second chance. For all of you who need this or know someone who does, this CD is for you. 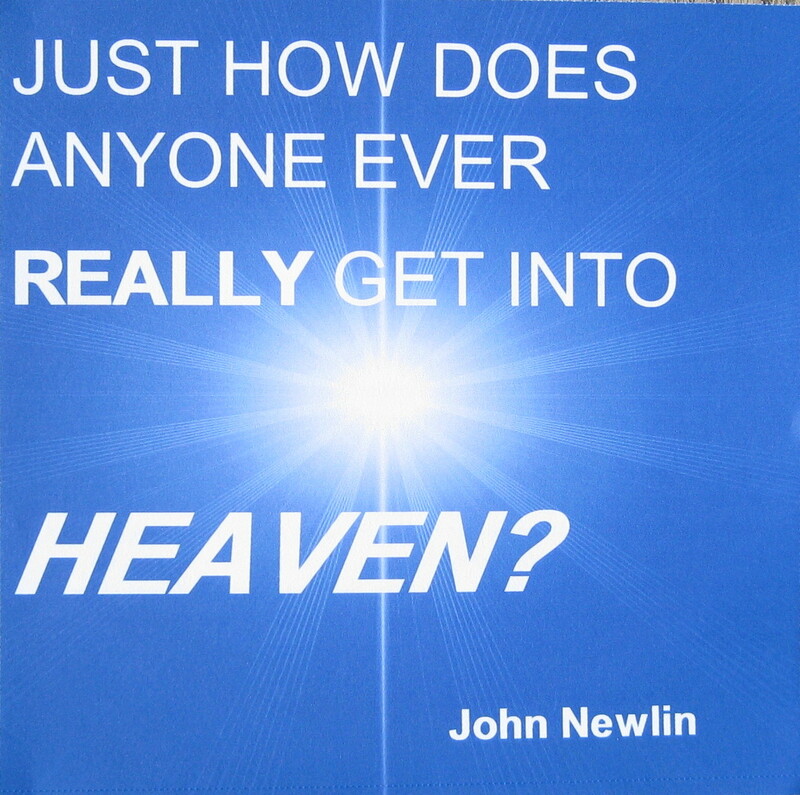 CD - "HOW DOES ANYONE EVER REALLY GET INTO HEAVEN?" Nothing is as important as knowing Jesus and knowing you are going to be with Jesus and the Father forever – in Heaven, in his Kingdom. There are many scriptures on this subject, and they must all be considered: scriptures dealing with being born again, being a new creation, how many people will be saved, becoming like a little child in our relation to Jesus, and more. 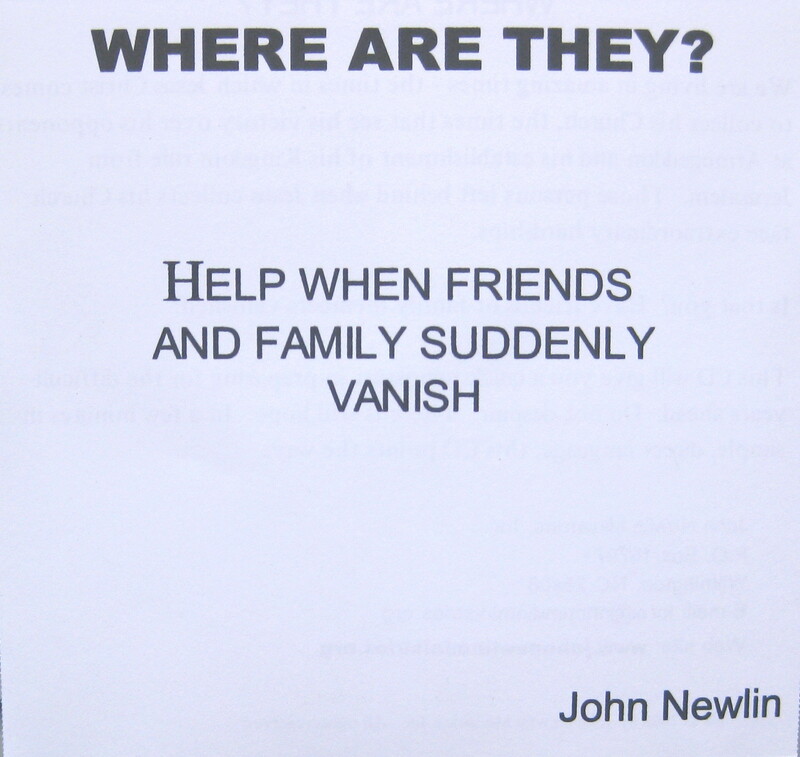 This CD is for your relatives and friends who are seeking or who may be lost. It is for you, giving scriptures and guidance you can apply in speaking to others about Jesus. So much of what is meant by the word salvation is never covered in the traditional church forums today. But God is true to his word. He has not forgotten what is said in the Bible. The KINGDOM OF GOD is within you if you are a believer in Jesus Christ. 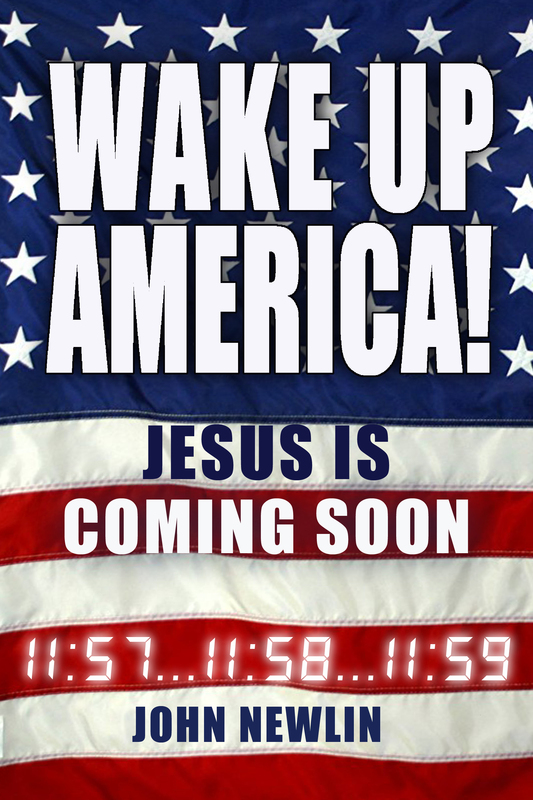 Soon it will be here in a very visible and physical way when Jesus sets up rule from Jerusalem . Being a member of the Kingdom comes with great benefits and great responsibilities. They relate to your being a citizen of the Kingdom, being an ambassador of the Kingdom, and being a soldier for the Kingdom. In this CD John explores all these areas. You will be uplifted and amazed at all that is yours and that is expected of you as a member of the KINGDOM! 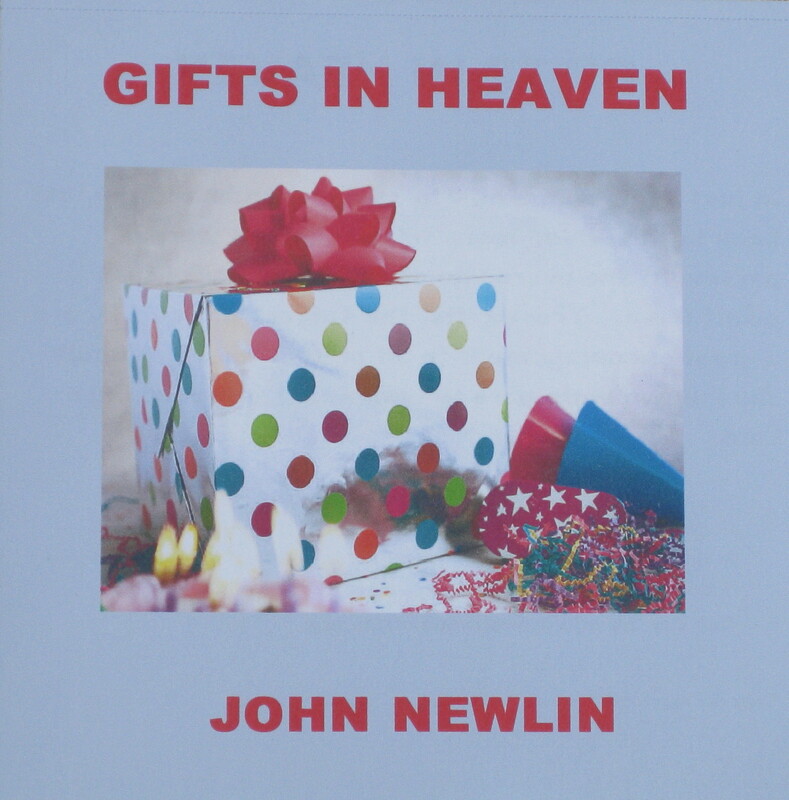 CD - "GIFTS IN HEAVEN"
In just a few comments to seven churches in the last book of the Bible, Jesus tells believers who persevere and overcome of astounding gifts that await them. These gifts, the subject of this CD, are a great encouragement to all of us in these difficult days as we anticipate the imminent return of the Lord. 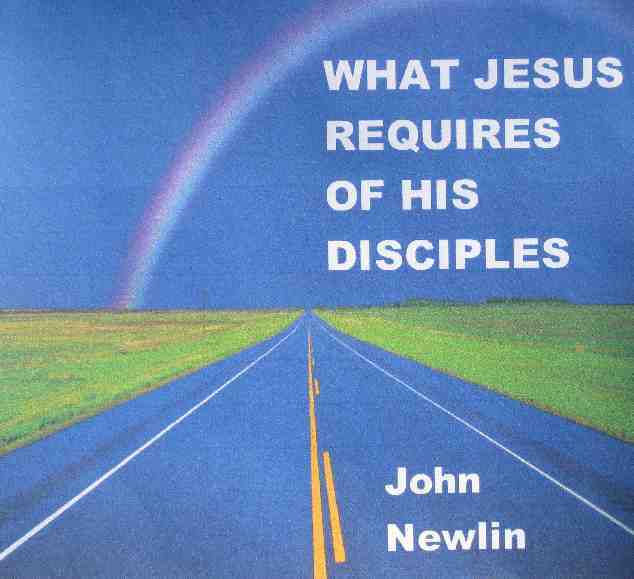 CD - "WHAT JESUS REQUIRES OF HIS DISCIPLES"
If you are a true believer who is following Jesus, you are his disciple. Jesus has a lot to say about his expectations for his disciples. His requirements come across at times as stern and tough, a stricter side of our savior. But they are truth, and they are essential. Remember, Jesus is truth. Following Jesus means obeying his commands. Growing in Christ comes from obeying his commands. He said if you love him, you will obey his commands. This CD explores the amazing words of Jesus regarding his requirements for his disciples. You must know what he expects. The Bible is true, the words real. Jesus is active today. Yes, the promises and statements of the Bible do indeed work. But you do have to obey. And you have to receive what God has for you. This CD looks at the instructions the Bible gives regarding the overall subject of receiving from God. Do not settle in life. Be determined. If Jesus said it, it is true. And if you are a believer, then what he said is yours to receive. Don’t let Jesus pass you by. 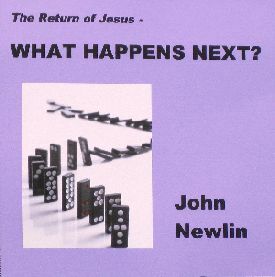 CD - "THE RETURN OF JESUS - WHAT HAPPENS NEXT?" “Great prophecies have been fulfilled. “Be alert,” Jesus warns, so we might be able to escape all that is about to happen. When his disciples ask about his return, Jesus warns about deception. We live in a time of rampant deception. Paul, speaking of Jesus’ return, says that will not happen until a falling away from God occurs and the antichrist is revealed. One characteristic of our age is a falling away from God. We are right there at the brink – coming soon the signing of the prophesied peace agreement with Israel and the revealing of the antichrist, the rapture of the saints, the seven year tribulation period, the attack on Israel, the long prophesied abomination in the temple, and Jesus’ victory at Armageddon - all covered on this CD, with clear guidance how you can identify the antichrist. Do not live in ignorance of the key events of your time. Above all, be alert. 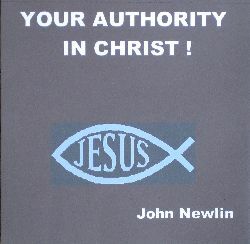 CD - "YOUR AUTHORITY IN CHRIST!" How are we to live healthy and victorious lives in this difficult time in which we find ourselves? First, we need to know Jesus and to keep our eyes on him. Next? We need to know all he has done for us and what our authority is in him. Believers in Jesus Christ are God’s workmanship, created in advance in Christ Jesus to do good works which he prepared in advance for us to do. If you are such a believer, God chose you before the foundation of the world. He predestined you to be adopted in Jesus Christ as his child. Do you know all that? This CD reveals the astounding facts of who you are in Christ and the extraordinary authority you have in him. Don’t be destroyed by lack of knowledge. Yes, curses are real. So many people go through their lives never understanding why nothing they try ever works out, why all the men in their family die young, why all the women have diabetes, or why countless other such terrible things keep happening. You don't have to be one of these people. No believer in Jesus Christ should be subject to such curses. 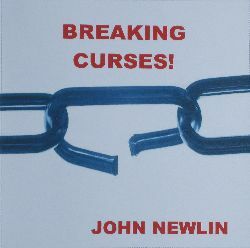 One of Jesus' great gifts, along with spiritual salvation and divine healing and more, was his becoming a curse for us on the cross so we might be free from these curses. Experience the great freedom that comes with realizing and receiving this great gift that Jesus has accomplished for you. 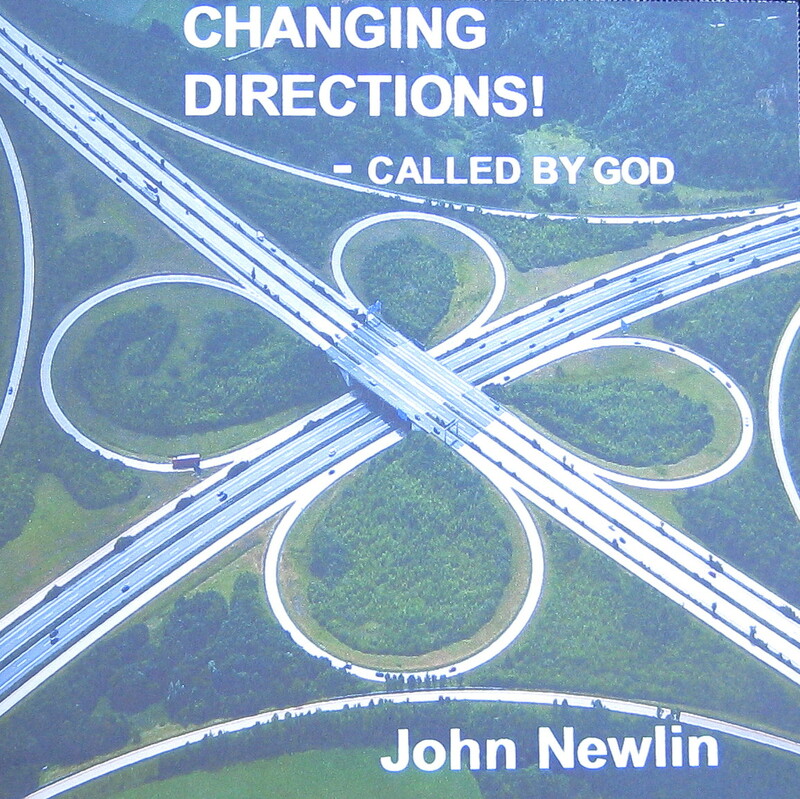 CD - "Changing Directions - Called by God"
How are people called by God? Sometimes dramatically, sometimes quietly. For me, it was dramatically. Many years ago God intervened in two events. The first involved a miraculous encounter with an angel when my family and I were saved from certain death. A few years later on the New Jersey Turnpike, God came into my car in a stunning Damascus road meeting in response to my cry for help. The Holy Spirit had come in force. Several years later a woman at a meeting at Oral Roberts University prophesied that miracles would follow me wherever I went, and that I wouldn’t even know that unless I looked back. That’s the way it has been. 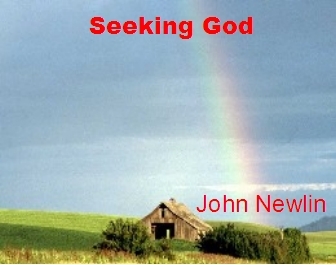 In this CD John recounts these two major events and many from the years since, drawing implications as to how God calls and gives assignments and directions . 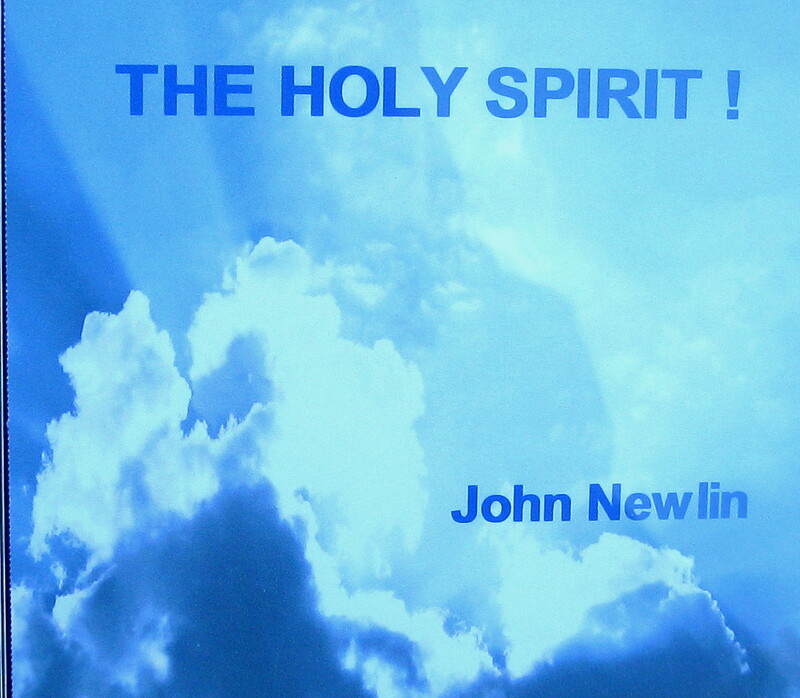 CD - "The Holy Spirit!" You need the Holy Spirit! Following Jesus’ triumphal resurrection and ascension to Heaven, God the Father sent the Holy Spirit to believers. The Holy Spirit is for you! He is for all believers. He tells us of what he hears from the Father and from Jesus. He gives us the great ability to know the real truth in all things. He teaches us all things. He tells us of things to come. He brings glory to Jesus. He is your comforter, your counselor, your advisor, your guide. Again, you need the Holy Spirit. It is through the guidance of the Holy Spirit that you learn the will of God and stay in it. He is the believer’s constant companion. Jesus did not want the disciples going out from Jerusalem after his ascension into Heaven until they had been baptized with the power of the Holy Spirit. With that power they could be victorious. Healing, prophecy, wisdom, knowledge, miracles, so much more – gifts of the Holy Spirit. Do you know the Holy Spirit? CD - "Where Are They?" We are living in amazing times – the times in which Jesus Christ comes to collect his Church, the times that see his victory over his opponents at Armageddon and his establishment of his Kingdom rule from Jerusalem. 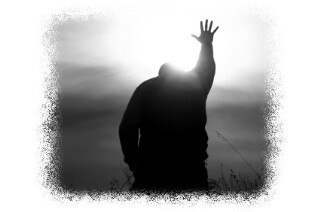 Those persons left behind when Jesus collects his Church face extraordinary hardships. Is that you? Have friends or family members vanished? This CD will give you a quick jumpstart in preparing for the difficult years ahead. Do not despair. There is still hope. In a few minutes in simple, direct language, the CD points the way. Get several of these CD’s to pass on, or just to leave around for those people who are left behind. 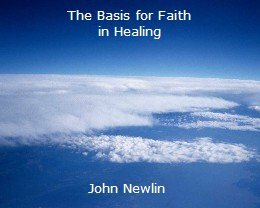 CD - "The Basis for Faith in Healing"
Jesus Christ is the basis for faith in healing. Christians know that when Jesus went to the cross, he took our sins upon himself and overcame them, earning for each believer forgiveness of sin and eternal life with God. What many don’t know is that Jesus also took upon himself all our sicknesses, diseases, and pains, and by the horrible beatings he suffered, he overcame them as well. With his stripes we are healed (Isaiah 53:5b). Jesus has paid the price. Learn the facts about divine healing, how to receive your healing, and how to apply these truths to others in need of healing. CD - "Keys to Receiving Healing"
This CD presents valuable keys that will directly help you move to the point of receiving your healing. From knowing God's promises to understanding the importance of faith and belief and the very words you speak, it will guide you to be open to receive. Always remember, just as you did nothing to earn your spiritual salvation, so you have to do nothing to earn your healing. Jesus has already paid the price. God wants you well. CD - "Great Healing Lessons from the Bible"
The Bible contains many wonderful true stories of healing. During Jesus' public ministry, He focused on three areas - teaching, preaching, and healing. 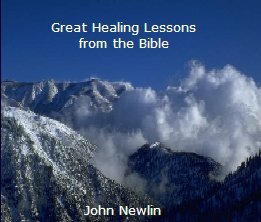 In this recording, John Newlin discusses several of these stories and draws out insights that help you learn how to receive the glorious healing Jesus has already accomplished for you. Let these messages open your heart and mind to the truths of divine healing and allow you to receive. What do people long for - to speak to God, to know God, to hear from God. This CD presents a message at the core of the Christian journey, recorded live at a service of John Newlin Ministries - May 24, 2005. 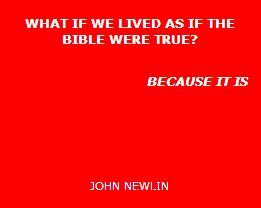 CD - "What If We Lived As If The Bible Were True? 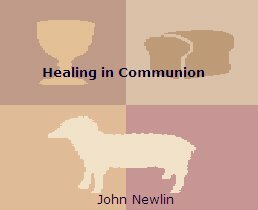 Because It Is"
CD - "Healing in Communion"
Before the Hebrews left Egypt, each family killed a lamb, spread the blood on the doorposts, and roasted and ate the lamb. When the angel of death came, the first born was killed in every household except those with the blood on the doorposts. The next day when the Israelites walked out of Egypt there was not a feeble one among them. About 2 million people, strong and healthy! Through the body and the blood of the lamb, health and life had come to the Hebrews. Jesus is that lamb for us. In communion we eat bread – his body – and drink wine – his blood. By taking our sins, sicknesses, and pains upon himself, and overcoming them, he earned our forgiveness and reconciliation and paid the price for our healing! By his stripes, the wounds he suffered, we are healed and made whole. People are healed in communion. You can take it every day, by yourself, with others, or in a church service. 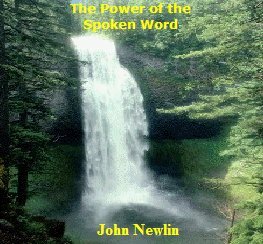 CD - "The Power of the Spoken Word"
Most people have no idea how their lives are affected by the words they speak. But it is true - the words of your mouth can have positive, creative, healing power, and they can have negative, destructive power. Anyone seeking healing is advised not to say negative words nor to listen to that from others. Why? In the Bible we are warned about the dangers of the tongue. We also see that God spoke the world into existence and that his words accomplish things. There is power in words. You really are what you say. In the CD examine the Biblical basis and find out more about the amazing power of your words. The amazing Son of Man and Son of God, Jesus Christ, accomplished far more than most people know. Most know that he earned forgiveness for all who believe in him, and eternal life as well. But that important step is just the beginning. Jesus did all that was necessary to take care of anything that separates a person from God. He became a curse for us so we don't have to suffer curses. He took our sickness and pain so we would be healed. He began the restoration of the Kingdom of God on earth. He became poor that we might be rich. And so much more. Learn the astounding accomplishments of Jesus so you can live in what he has done for you. Part One - What Did Jesus Do? Part Three - What Did Jesus Do? 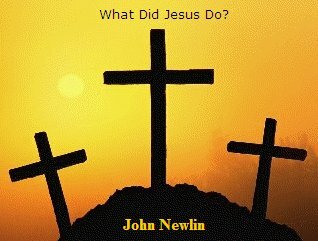 Part Two - What Did Jesus Do? 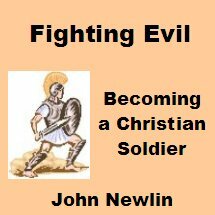 CD - "Fighting Evil: Being a Christian Soldier"
Have you ever noticed how, despite your wisest efforts, something often seems to thwart your plans. It's almost as if someone has thrown a monkey wrench into your efforts. Maybe they have. There really is evil in this world. Yes, the devil and demons are real. God has provided tools for us to use in protecting ourselves and our families in this ongoing battle against the kingdom of darkness. But you have to know what the tools are to use them. This CD provides valuable guidance in just that. Be prepared. Stand against evil. Be a Christian Soldier. 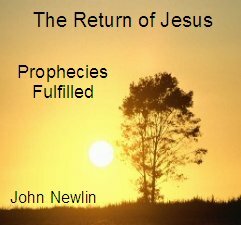 CD - "The Return of Jesus - PROPHECIES FULFILLED"
If George Washington had said Jesus was coming soon, people would have correctly thought he was out of his mind. But we can make that statement today. Why? Because in his lifetime events prophesied to happen before Jesus' return had not happened. But they have in our day! The nation of Israel, after hundreds of years of absence, is now in existence. Jerusalemis under the control of the Jews after 1,897 years of not being so, something Jesus said would happen in the generation of his return. And much more. This CD covers many such prophecies now fulfilled. You will be amazed. And you will see clearly - Yes, he is coming soon, very soon. 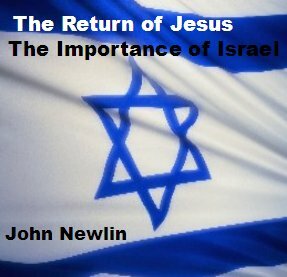 CD - "The Return of Jesus - The Importance of Israel"
Israel is the apple of God's eye. Scripture tells us that. From the moment Abraham was told what would happen to him and his descendants, that has been true. It, and specifically Jerusalem, is the place where Jesus will return to set up his rule. Explore through the Bible the extraordinary importance of Israel to God and to the return of Jesus to earth. Be prepared to be shocked at where we are in time and what is happening. 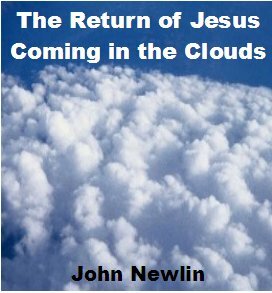 CD - "The Return of Jesus - Coming in the Clouds!" Jesus could arrive to call out his church while you are reading this. That's how close we are to this happening. There is nothing that must occur before he comes to do just that. We are in the generation of his coming. Events he has said will happen in the same generation as his coming in the clouds have happened. So how does this all come about? What does the Bible say about it? And what is our responsibility? We are warned to watch! What does that mean? This subject should be at the forefront of believers' attention everywhere. IT IS FINISHED. THE THEME OF THE BIBLE. WHAT IF WE LIVED AS IF THE BIBLE WERE TRUE? WHAT IF WE LIVED AS IF WE BELIEVED JESUS? SON OF MAN OR SON OF GOD? 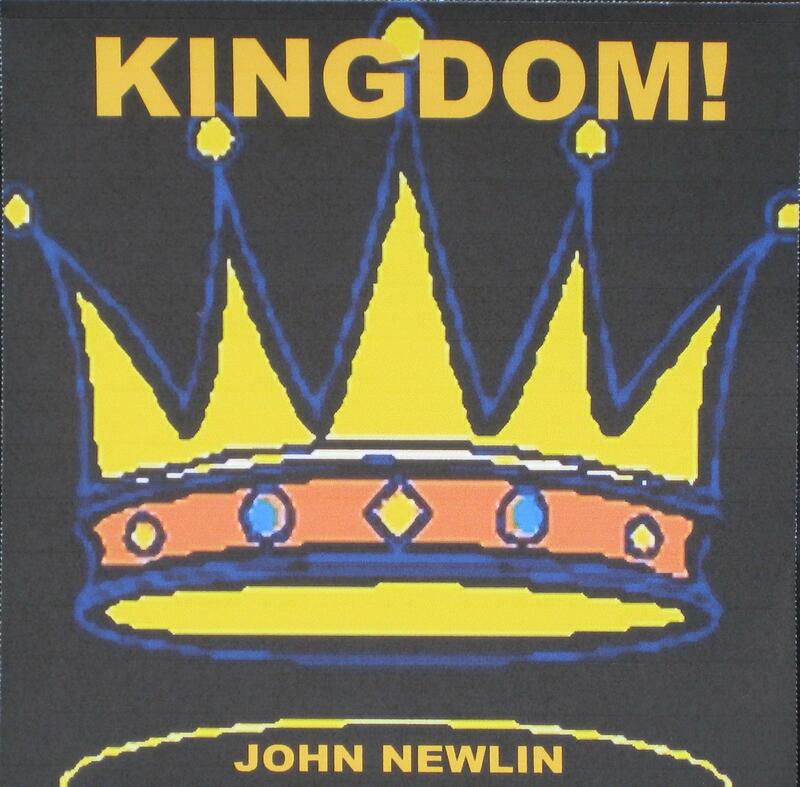 If you are unable to purchase a CD or DVD, please e-mail us at store@johnnewlinministries.org to receive a one CD or DVD as a gift from John Newlin Ministries. Please indicate in your e-mail the CD or DVD that you would like for us to send to you. Shipping and handling charges will not be charged for domestic CD and DVD orders; however, shipping and handling charges will apply for international orders. 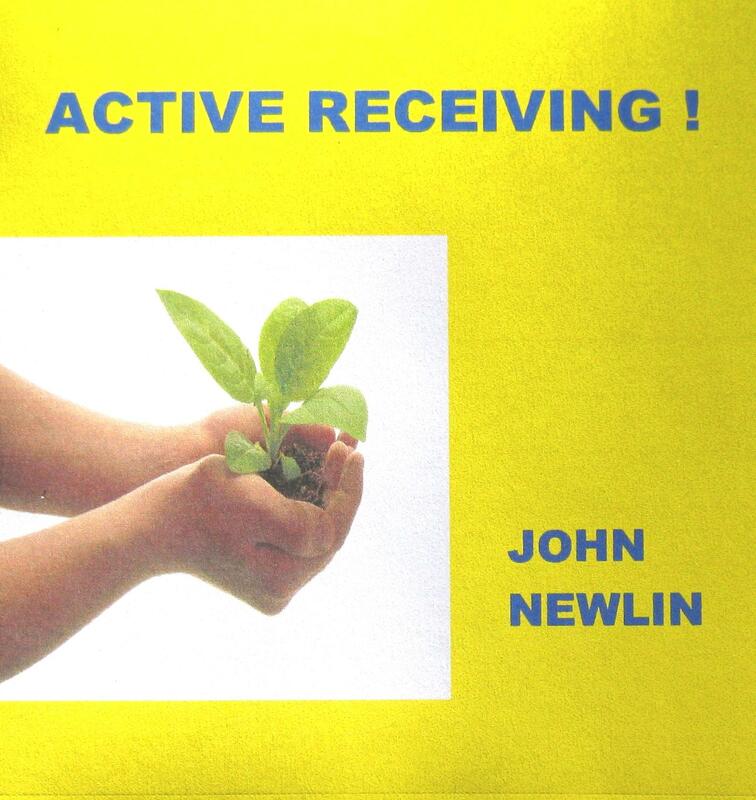 For information on products available through John Newlin Ministries, contact us at store@johnnewlinministries.org. Please allow 2-4 weeks to receive your order.